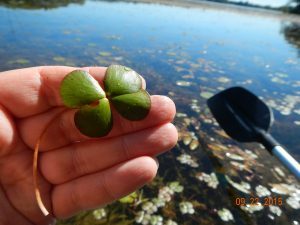 As mentioned in the Summer 2016 HRWC newsletter, both Barton and Argo Pond on the Huron River are home to a new exotic aquatic plant, the European Water-Clover (Marsilea quadrifolia). In 2015, Michigan DEQ alerted HRWC that this plant was only in two places in the state, Barton/Argo Ponds and a location in the Clinton River Watershed. However, they were unaware of how widespread this plant was in our system. In 2015, HRWC volunteers searched those ponds and found many patches of the plant and reported their location back to DEQ.  The scientific community at large is generally ignorant about the European Water Clover; people do not know how it spreads, to what extent it can out-compete nearby native plants, and how it might change the ecology of the system. This is often an issue with new exotic species; scientists often don’t know how damaging something will be until it becomes a problem. 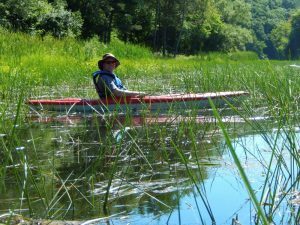 It is important to get a handle on these new plants, though, because you can’t predict when the next Phragmites will arrive- a plant that spreads very rapidly and changes its ecosystem. And any control methods have to be done very carefully, as so many plants (such as Eurasian Water Milfoil) can actually spread faster and further if they are carelessly ripped out. This past spring, HRWC put a monitoring plan together with DEQ. To determine when the plant first emerged, HRWC visited two known problem areas weekly in Argo and Barton Ponds through the late spring and early summer. The water clover was first detected in early June. To determine possible spread of the water clover, HRWC and DEQ waited until early August of this year, when the plant would be at its full summer growth, and surveyed upstream of Barton Pond, from Delhi Metropark to the Maple Street Bridge. Thankfully, that section of the Huron River was clear of the plant. It does seems that the plant strongly prefers very slow water, and the Huron upstream of Barton generally flows at a moderate to rapid rate. HRWC is planning additional monitoring downstream, through Gallup Park and Superior Pond, which contains more promising habitat for the plant. DEQ is also planning to try out some control methods, conducting both herbicide treatments in a greenhouse and an exclusion method using a mat that covers the plants in the river. HRWC will continue to watch this exotic plant and report out as more is learned about European Water Clover in the Huron River system.